Udiliv 300 Tablet is popularly used in the treatment of Cholestatic liver diseases, Alcoholic fatty liver, and Non-Alcoholic fatty liver conditions. Get to know how Udiliv 300 works, its side effects, precautions, and contraindications where Udiliv 300 is not suggested. It contains an active ingredient called Ursodeoxycholic Acid. The ingredient of this drug Ursodeoxycholic acid is a bile acid. This drug is utilized by the patients who don’t need surgery or cannot have surgery for clearing of any gallstones. Ursodiol acid is likewise valuable in avoiding gallstone composition in patients who are training to get more fit instantly. Details mentioned here is for informative purpose only. It is advised to use this medicine only with proper medical supervision only. The drug is manufactured by the Abbott Health and Solvay Pharma India. The Udiliv 300 price varies from company to company. The MRP of Udiliv 300 by Abbott is 474.16 INR for 15 tablets in one strip packing. Ursodeoxycholic acid is steroidal acid, discovered plentifully in bile juice. It is delivered naturally in a person’s body. Those stones that are produced by cholesterol stored in the gallbladder are mostly treated with Udiliv 300 MG Tablet as the medication can break them up effectively. It acts by decreasing the cholesterol creation and dissolving cholesterol such that it cannot create any stones. Do consult your doctor before consuming to know proper prescription. Use this medicine in the dosage and schedule as prescribed by your doctor. Consume it as a whole and do not chew the drug. For best outcomes and wellbeing, Udiliv 300 doses must be taken as advised by the physician. All medications interact in various ways from a person to person. You should check all the interactions with your specialist before beginning any prescription. Consult your doctor about herbal supplements, vitamins and medication you’re consuming to prevent the interactions. Ms. Nikita Saraswat graduated as a gold medalist in B. Pharma from Uttar Pradesh Technical University in 2012. Subsequently, she has earned a Master in Pharmacology from Council of Scientific Research – Indian Institute of Toxicology Research, Lucknow (CSIR-IITR). She currently serves as an Assistant Professor as well as pursuing a Ph.D. in Pharmacology. Nikita is also a passionate author who loves to keep herself updated with the latest advances in medicine and health. 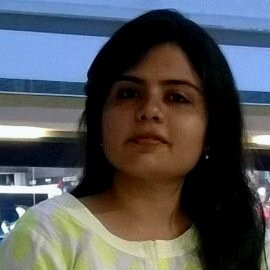 She regularly publishes her writings on medicine at HealthClues and has also published various research papers and healthcare books in reputed publications including the Bentham Science Journal, UGC and Clarivate Analytics indexed journals. Medicines Alcoholic fatty liver, Cholestatic liver diseases, cholesterol-rich gallstones, Cystic Fibrosis in children, fatty liver, Hepatic issues, jaundice, Liver Cirrhosis, Non-Alcoholic fatty liver, Primary biliary cirrhosis, Udiliv 300, Udiliv 300 Benefits, Udiliv 300 contraindications, Udiliv 300 for cholesterol-rich gallstones, Udiliv 300 for Cystic Fibrosis in children, Udiliv 300 for Hepatic issues, Udiliv 300 for jaundice, Udiliv 300 for Liver Cirrhosis, Udiliv 300 for Primary biliary cirrhosis, Udiliv 300 for Udiliv 300 for fatty liver, Udiliv 300 precautions, Udiliv 300 Side effects, Udiliv 300 Substitute medicines, Udiliv 300 Uses, Ursodeoxycholic. permalink. I am taking udiliv 300 one tablet a day since last 20 days. I am required to extract 3 nos.teeth next week. Do you advise to discontinue this medicine before extracting teeth and if so for how many days to prevent excess bleeding?